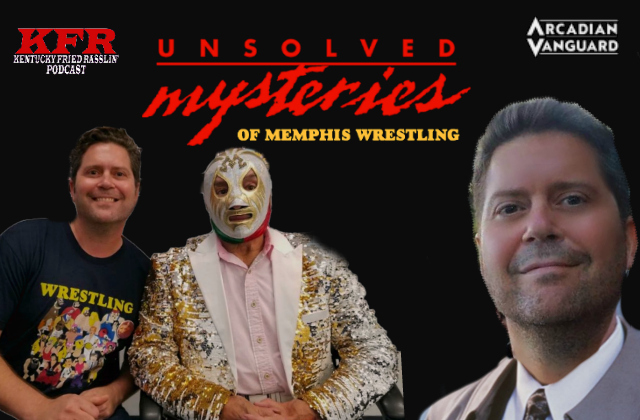 On this special Unsolved Mysteries of #Memphis edition of the KFR Podcast, host Scott Bowden goes face to masked mug with Mil Mascaras during an autograph signing at Los Angeles-area sports-memorabilia speakeasy. Bowden doesn’t tiptoe gracefully around the issue, asking as many questions as humanly possible to unmask the truth behind the mystery that has had a chokehold on the longtime Memphis fan and manager since he was 8 years old: Was it REALLY Mil Mascaras in the ring at the Mid-South Coliseum in Memphis on 1.29.79, doing a stretcher job for promoter Jerry Jarrett’s local legends Jerry Lawler and Jackie Fargo…or was it a ringer? Mascaras not only answers emphatically, providing photographic evidence, but can also be heard discussing the issue with Bowden, whose ill-fitting skinny jeans accidentally setting off the voice recorder on his Galaxy Note8 device—finally a break that cracks the case…the answer awaits, true believers! In a candid discussion with Brian Last, Scott Bowden honors the memory of the late Brian Lawler by revealing a side of Grand Master Sexay that most fans never knew. Bowden recalls the first time he met BC back in 1989, when the son of the King drove a Lincoln Continental delivering Godfather’s Pizzas all over town while earning straight A’s at Craigmont High School. Bowden discusses Jerry Lawler’s reaction to the appearance of his oldest son and Tony Williams on an outlaw show promoted in Memphis by Eddie “Snowman” Crawford, which also saw the debut of a certain punk manager from Germantown. 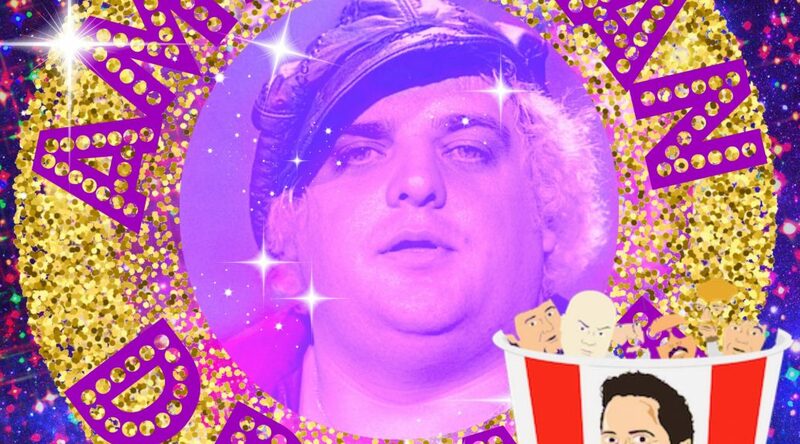 The KFR host also explains why Brian was the most naturally talented wrestler he’s ever seen—and why having too much on the natch may have helped lead to BC’s downfall. Bowden acknowledges Grand Master’s demons and mourns his wasted potential, but also recalls the ability and personality that made Brian Lawler one of a kind and truly unforgettable to those who really knew him. KFR host Scott Bowden reminisces about Monday night memories at the Mid-South Coliseum with Marvin Stockwell, co-founder of the Coliseum Coalition and Friends of the Fairgrounds. The two Memphians discuss everything that made the Roundhouse the entertainment capital of the Mid-South, including Memphis State Tiger basketball, legendary artists who performed at the arena, who flying-saucer shape provided out-of-this-world acoustics and, yes, the heritage of Memphis wrestling in the House That Lawler Built. Most important, Stockwell provides insight into how the grassroots campaigns of his two community-driven organizations have helped save the Coliseum while revealing what the future may hold for the longtime legendary home of Memphis wrestling. 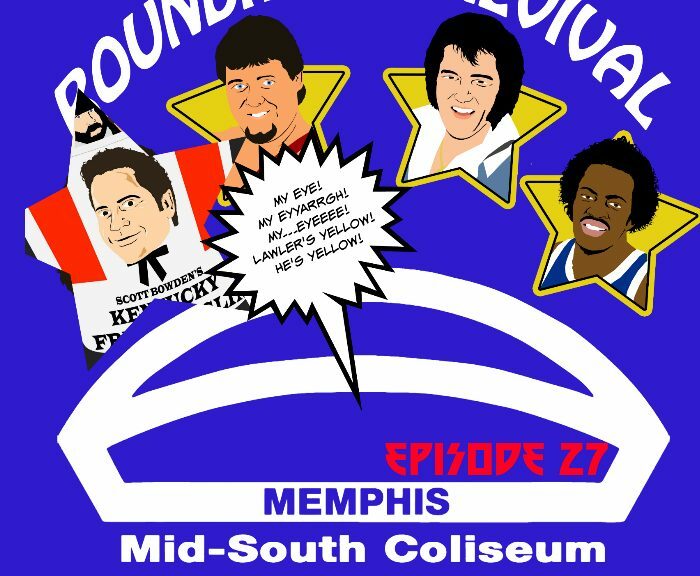 Bowden also kicks off his look at the 10 Most Memorable Memphis Wrestling Moments at the Mid-South by welcoming fellow podcaster Kris Zellner, who turns his eyyyeeeeeeeesss on the infamous Empty Arena Match between Jerry Lawler and Terry Funk. On July 4, 1977, Jerry Lawler and Billl Dundee kicked off the greatest summer in Memphis wrestling’s history as he outfoxed Jerry Lawler in the main event at the Mid-South Coliseum, winning $2000 of the King’s coldhearted cash. 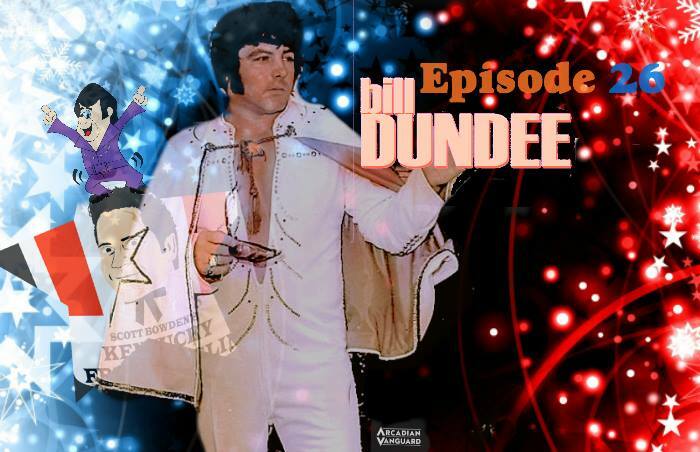 41 years later, Dundee joins KFR hosts Scott Bowden and the Great Brian Last® for an explosive interview. The Superstar will discuss Dundee’s Memphis debut; why he and George Barnes got over so quickly in the territory and skyrocketed to tag-team main events; Billy’s reaction when Barnes told him he was heading back to Australia;, Dundee’s personal feelings on Jerry Lawler; why the scrappy Aussie and ex-wife Beverly agreed to the hair match stips in ’77; the popularity of Memphis wrestling around the world today; and the story of how a young punk from Germantown got his very first autograph of any kind from the Superstar on a black-and-white publicity photo back in 1978. 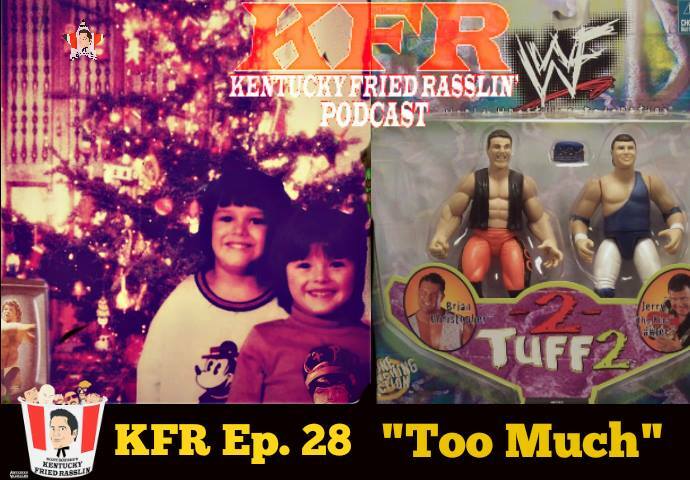 Host Scott Bowden serves up an extra-extra crispy bucket of goodness on the KFR podcast, as he welcomes back the hottest heel on Twitter….Jerry Jarrett. The original Double J provides insight into the following topics: Dusty Rhodes’s appearances vs. Jerry Lawler in Memphis nearly 41 years ago to the day and why Jarrett and the Dream had a falling out in ’84; the Lawler/Dundee feud of ’77; how Pro Wrestling USA came together and ultimately failed; and his heat with Jim Crockett Jr. and Ric Flair. It all drops on ya like a Bionic Elbow, bayyyy-bbeeee, in public if you wiiiiilllllll. KFR host Scott Bowden and his extra-crispy guest, Jim Cornette, honor the 35th anniversary of one of the best bouts ever held in Memphis, which also was featured around the territory’s loop, earning one of the biggest money weeks ever for promoter Jerry Jarret. area of his perennial rival and former ally in what many fans declared the greatest match they ever saw in the territory. and the Superstar did not. 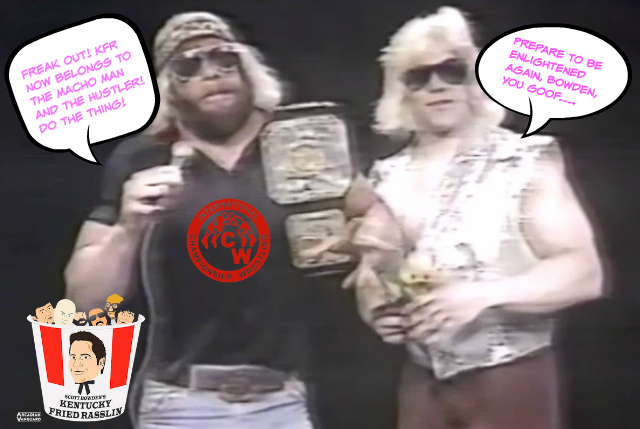 It’s no-holds-barred, must-listen edition of the KFR podcast, complete with rare WHBQ audio you won’t hear anywhere else. Scott Bowden welcomes his Beverly Hills neighbor, the dapper-yet-diabolical Tux Newman (Jeff Walton), who orchestrated Randy “Macho Man” Savage’s return to the dark side of Memphis wrestling in late February 1985, guiding his star to memorable, brutal reign as the Southern heavyweight champion of the WORLD. The twisted talent agent from Tinseltown will dish on how he got his macho client booked in the WWF and explains why Savage insisted on dropping the belt back to the King on his way out. Tux will also reveal why bad timing may have been the only thing that prevented the Tux Man from having a legendary run under Vince McMahon’s ever-expanding ’80s circus tent. 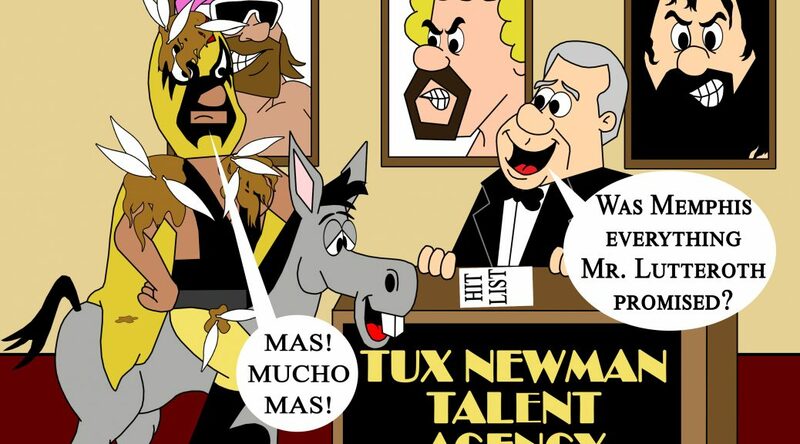 In addition to sharing his thoughts on everyone from Lance Russell to the King to Jerry Jarrett, the Big T takes the stand to offer his expert analysis regarding the Mil Mascaras MondayNight Mystery. Is this the night Bowden unmasks the truth?! KFR host Scott Bowden continues his look at Jerry Lawler’s AWA World championship win 30 years ago with guests Prince Kevin Lawler and the man who crowned the King, legendary Memphis promoter Jerry Jarrett. Scott and Kevin also pay tribute to their mutual friend Nik Niknahad, aka Mr. Clyde and Ali Ben Khan on Memphis TV, who recently passed away. The Original Double J will provide fascinating insight into the politics of the wrestling world in the ’70s and ’80s as the Tennessee promoter worked tirelessly to get the King of Memphis a run with the NWA championship. Jarrett will also reveal why he turned down Sam Muchnick’s offer to give Lawler a short reign as King of the World a la Tommy Rich, and he will also share his true feelings about Unfortunate Bruce Prichard™ and news about his upcoming podcast. It’s a king-sized episode as the 1st Annual JerryFest™ continues on the KFR podcast, so don’t you dare miss it, my friend. In honor of the 30th anniversary of Jerry Lawler’s AWA World title win, host KFR host Scott Bowden discusses the King’s chase of the World heavyweight championship—the Memphis territory’s overarching storyline for well over a decade. 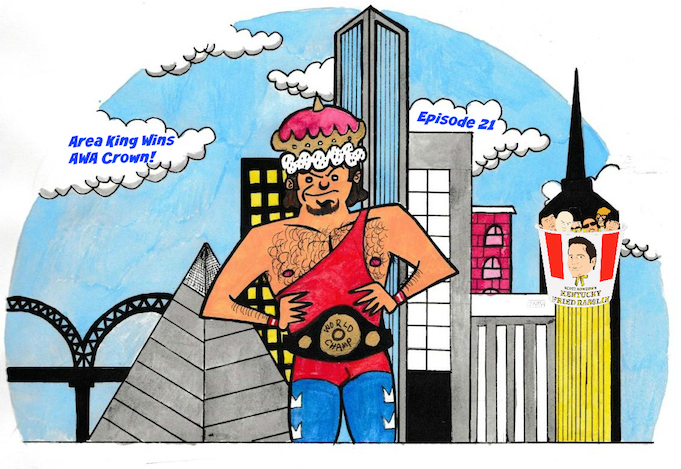 On this week’s Stinkn’ Rednecks segment, Bowden and longtime fan David Delahoussaye discuss why Lawler was so over as a sport hero for kids growing up in the area in the ’70s and early ’80s, and why the King’s quest for the World title meant so much to his fans. And in the first part of a revealing interview, Kevin Lawler recalls the highs and lows that came with being the son of one of the most controversial stars in wrestling, and he explains why Nick Bockwinkel was the true World champion in the eyes of Memphis fans. All this and more on episode 21 of KFR, the REAL World champion of Memphis wrestling podcasts. Episode 20: ¿Que Es Mas Macho? The ICW invasion continues on the KFR podcast as “The Hustler” Rip Rogers returns for the second part of a no-words-barred interview. Larry Flynt’s favorite f*ckin’ professional athlete will also provide a firsthand account on what really went down between Savage and Bill Dundee—besides the Superstar—at the height of ICW’s invasion of Jerry Jarrett’s Memphis territory. Plus, host Scott Bowden goes back in time (not literally, mind you) to present rare WHBQ promos from Al Greene and Jackie Fargo from 1975 that led to sellout crowd of 11,700 fans, with 5,000 more turned away. All this and not much else on episode 20 of the KFR podcast.